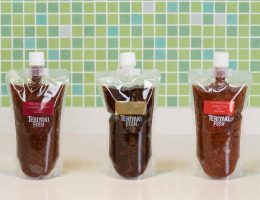 Established in 1922, as a specialized "Tsukudani" manufacturer with a unique Japanese taste, we have acquired ISO 22000, FSSC 22000 certification, and have received very positive response in both the domestic and overseas markets. 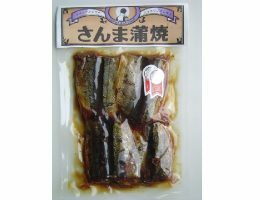 This is a tsukudani using "Sanma", one of the most popular fish in Japan, beautifully marinated with special sauce. 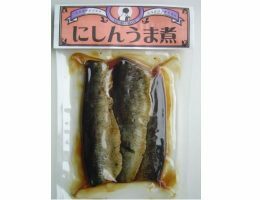 Similar to eel, sanma is also mostly cooked as "kabayaki" (where the fish is split down the back or belly, gutted and boned, butterflied, cut into square fillets, skewered, and dipped in a sweet soy sauce-based sauce before being broiled on a grill). 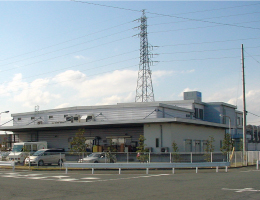 We have seasoned herring, a fish that is well known worldwide, in a traditional Japanese way. Please enjoy the harmony of the delicious taste of herring with special Japanese seasoning.